Do you have your Christmas plans booked already? If not, there is still time to make amazing family memories in Breckenridge, Colorado. 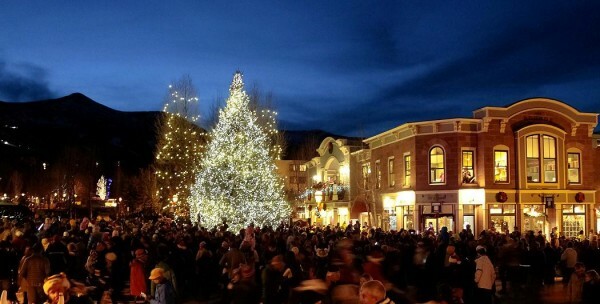 The quaint Victorian town of Breckenridge really comes to life in December with the annual lighting of the Christmas tree on December 6th. Sparkling white lights, glistening snow, stunning mountain peaks, great skiing and boarding, fabulous restaurants, shopping, and family events make Breckenridge the destination of choice for a Christmas to remember. If you plan ahead, it can also be a truly relaxing, stress free holiday with just a few practical tips like purchasing lift tickets in advance, shipping your gifts ahead of you, ordering groceries online for pick up, and even taking the shuttle from the Denver airport. You can book massages in advance, dinner reservations, and check out Breckenridge events schedule in advance with the Breckenridge Chamber of Commerce. And best of all, you can take the opportunity to review your home ownership opportunities in Breckenridge, because once you go, you will never want to leave. A second home can be expensive in Summit County, as real estate values are high and remain high due to constant demand as Summit County is home to some of the best skiing, fly fishing, golfing, and biking in the world. Fractional real estate is the perfect solution for people who want all of the benefits of second home ownership and none of the hassles, and at a fraction of the price. There are numerous misunderstandings about fractional real estate, and it is often confused with the time share model. In fractional real estate, you own a deed, service a mortgage, benefit from the tax write off but you don’t have to worry about maintenance when you are not there. CLICK HERE for more information on fractional real estate benefits. For more information on fractional real estate, and exclusive luxury fractional real estate property offerings in Breckenridge, contact Brent Henry, Senior Real Estate Broker. He will provide some informational materials on the benefits of fractional real estate and insights on property availability in Breckenridge. Give Brent a call or send him an e-mail and let him know what your Breckenridge second home dreams are all about! This entry was posted on October 4, 2014 by elevatemarketingaz. It was filed under Breckenridge Colorado Luxury Condo Sales, Breckenridge, Colorado Real Estate, Fractional Ownership Real Estate Breckenridge CO, Fractional Ownership Real Estate Summit County Colorado, Fractional Real Estate Breckenridge Colorado, Luxury Fractional Real Estate Breckenridge CO, Luxury Fractional Real Estate Breckenridge Colorado, Luxury Fractional Real Estate Summit County, Co, Ski In, Ski Out Luxury Condo Breckenridge Co, Ski In, Ski Out Luxury Condo Summit County, Co, Ski In, Ski Out Luxury Condo Summit County, Colorado, Summit County Colorado Luxury Condo Sales, Summit County Colorado Real Estate, Uncategorized and was tagged with Breckenridge Colorado, Breckenridge Colorado condos, Breckenridge Colorado skiing, Breckenridge luxury condo sales, Brent Henry Breckenridge real estate broker, ski out real estate breckenridge colorado, ski_in_ski_out Breckenridge condo, Summit County Real Estate.